Toronto's Pearson International Airport (YYZ) has direct connections from 180 cities. This page contains information about the airport. When you book your trip to Toronto, you may want to extend your stay before or after the conference. Below you can find ideas about things to do in and around Toronto. Taking a cab from the airport to downtown Toronto costs $46. Airport Express buses will take you from the airport to some downtown locations for $18.50 (and $29.95 for a round trip). You can also take public transit from the airport to any location in Toronto for $2.75 (exact change required) but this will take longer. Please check here if you need a visa to enter Canada. If you require a visa for entering Canada, and need a letter of invitation, you should contact the conference chair, Eric Hehner. Toronto is the capital of Ontario, and the largest city in Canada. (The population of Toronto is 2.5 million and its suburbs make up for another 2.5 million.) English is the main language in Toronto. Toronto is a city of immigrants; about half of Toronto residents were born outside of Canada. The city is located on the north shore of Lake Ontario. Most streets are on a grid system. Street numbers on north-south streets increase as you go north (away from the lake). Yonge Street is the central street that runs north-south. Street numbers on east-west streets increase as you go away from Yonge Street. VSTTE 2008 will be held downtown, which is very walkable. See here for the conference location and its basic surrounds. Getting around the city is very easy by public transit (called the TTC). There are subways, buses and streetcars. When entering the system you pay a fare and can obtain a slip of paper called a transfer (either from the bus or streetcar driver or from a red machine in subway station entrances). A transfer allows you to transfer from one TTC vehicle to another any number of times and is valid as long as you are making one continuous journey, without stopovers. If you pay cash (with exact change), a trip costs $2.75. However, at the entrance to any subway station, you can buy 5 tokens for $11.25 ($2.25 per ride), or a weekly pass (valid for unlimited use from Monday to Sunday) for $32.25. To obtain a free map of the system, ask for a "Ride Guide" at the entrance to any subway station. There is a nice online map here. The average daily maximum temperature in October is 15 degrees (Celsius) and the average daily minimum is 7 degrees. It rarely snows in October, but it can be wet, so bring a raincoat or umbrella.. For more climate information see this page. Toronto is in the Eastern Time Zone (same zone as New York). Toronto's daily newspapers include the Globe and Mail and the Toronto Star. The currency is the Canadian dollar (currency conversions). ATMs are available everywhere, and Mastercard, Visa and American Express credit cards are accepted in most shops and restaurants. It's customary to tip waiters (about 15%) and cab drivers. In shops and restaurants, advertised prices do not include provincial sales tax (8%) and the goods and services tax (5%), which apply to most items (but not all). Canada is a constitutional monarchy; H.M. Queen Elizabeth II is the Queen of Canada. The official languages are English and French. The country is divided into ten provinces and three territories. Quebec City, the oldest permanent European settlement in Canada is celebrating its 400th anniversary this year, although the Vikings briefly settled in Newfoundland around A.D. 1000. Canada became an independent Dominion on July 1, 1867, and underwent several territorial expansions between then and July 1, 1949 (when Newfoundland joined Confederation). This is the first time VSTTE is being held in Canada. The free weekly Now magazine includes extensive listings and reviews of events going on in town. Get it from the green newspaper boxes on streets. Eye magazine (yellow newspaper boxes) is another free weekly paper that also has listings. The Toronto Tourism site has lots of information about Toronto. The My Toronto Meeting site contains some useful information as well (in particular the "Event Calendar" as well as the "Special Deals"). Below are some Toronto highlights. 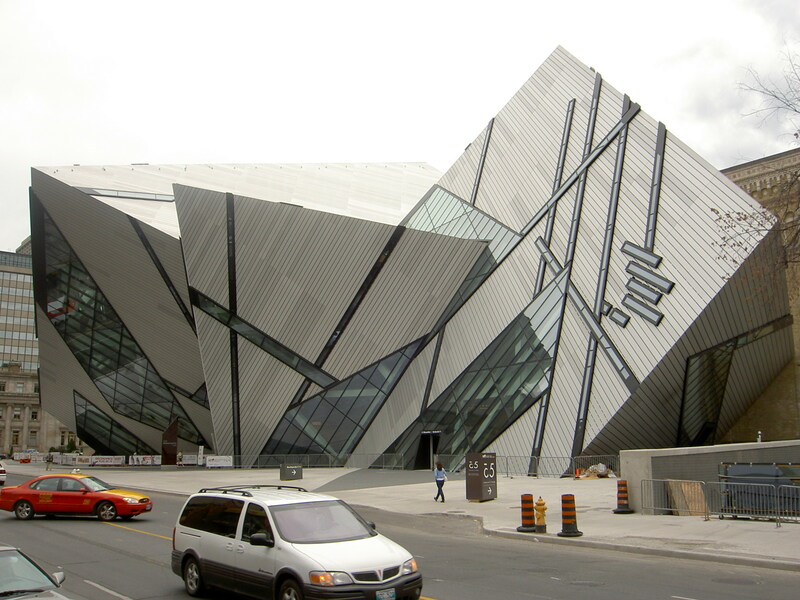 Royal Ontario Museum: general collection (history and life sciences), including newly opened wing designed by Daniel Liebeskind. At Museum subway station. Across the street is the Gardiner Museum of Ceramic Art. Unfortunately, the Art Gallery of Ontario is currently closed for renovations and it does not reopen until November 2008. But the McMichael Canadian Art Collection is open. It is the best collection of Group of Seven paintings, as well as other Canadian art, in a lovely setting just outside of the city. Bata Shoe Museum: Where else can you find a museum devoted entirely to shoes? Located at St George subway station. There are lots of cinemas, including a couple of repertory cinemas, in downtown Toronto. The nearest cinemas (Varsity, Cumberland) are around a 30-40 minute walk, or a short TTC ride, away from the main conference location. See Now magazine for complete movie listings. 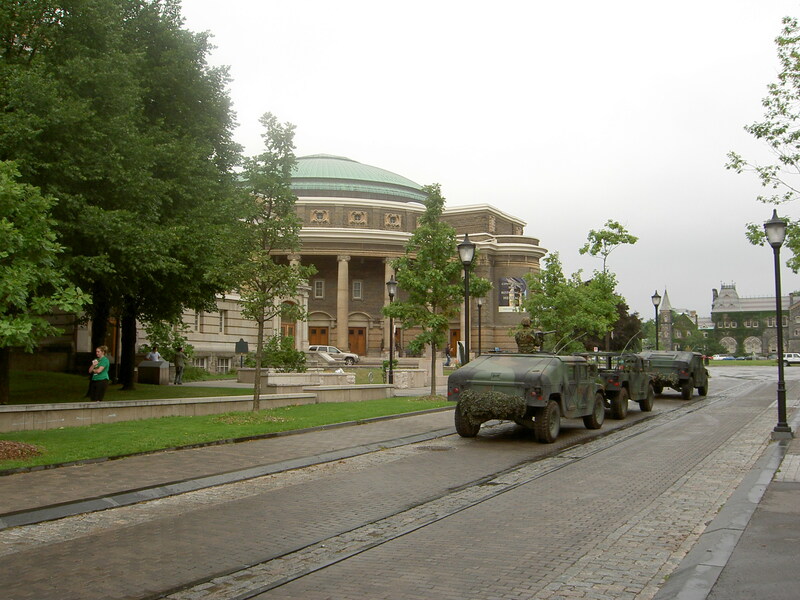 Parts of The Incredible Hulk Movie were shot on the campus of the University of Toronto. There are always lots of plays running in Toronto. See Now magazine for listings and reviews. Anything by Soulpepper is always a good bet. Or you could go lindy hopping. Toronto is a city of neighbourhoods with distinctive characters. Here are some favourites. St Lawrence Market: Toronto's oldest neighbourhood, with lots of historic buildings, centred around the market itself. Around King Street East and Jarvis Street. Cabbagetown: picturesque Victorian houses. It is centered around Carlton Street, between Sherbourne Street and the Don River. Bloor West Village: Nice little shops and restaurants. Centre of Ukrainian community. Along Bloor Street between Jane Street and Runnymede. The Beaches: Boardwalk along the shore, parks, small shops. Along Queen Street East, east of Coxwell Avenue. West Queen West: lots of small art galleries, etc. Along Queen Street West between Dufferin Street and Bathurst Street. Little India: Indian restaurants, shops, etc. Gerrard Street around Coxwell. Greektown: Greek restaurants, etc. Along the Danforth near Pape subway station. The islands: several islands just south of the city, mostly filled by beautiful parkland. Reachable by ferry from the foot of Bay Street. The conference banquet on Wednesday evening will be held here. Harbourfront: arts, music, theatre by the lake. Walk southwest from Union Station. The Canadian National Exhibition is Canada's largest fair. It is a Toronto tradition (since 1878) that runs for the second half of August. It is located at Exhibition Place, near the lake, west of Bathurst Street. Also, adjacent to Exhibition Place, is Ontario Place. The Ontario Science Centre: A science museum, good for kids. The Hockey Hall of Fame: Shrine to the national sport. Near King subway station. Casa Loma: a hundred-year-old, hundred-room castle in downtown Toronto. Near Dupont subway station. The Design Exchange: a small but nice design museum. Near King subway station. Fort York: a 200-year-old fort near the lake, west of Bathurst Street. Queen's Park: Ontario's Legislature Building. Free tours available. 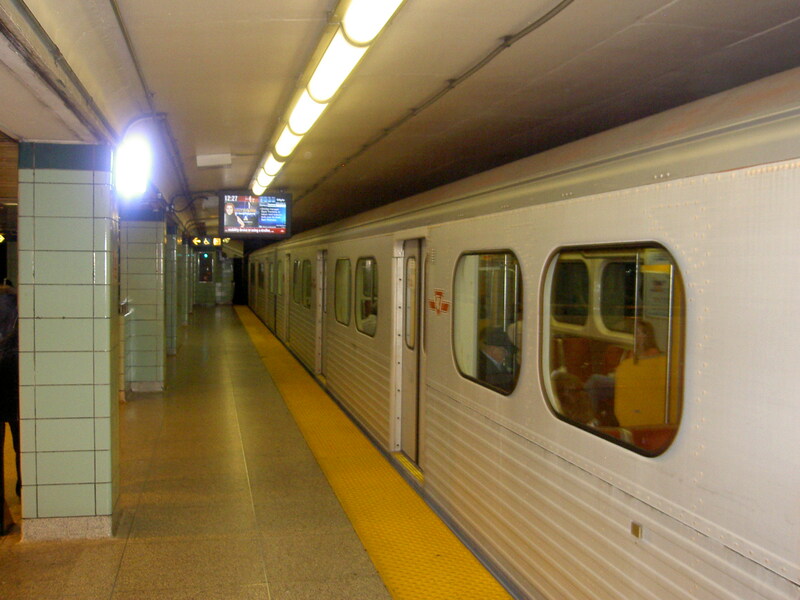 At Queen's Park subway station. High Park is one of the nicest parks in Toronto's large park system. Near High Park subway station. Roger's Centre where the Blue Jays play their home games. Eaton Centre: glass-enclosed shopping centre with all the usual stores. Stretches between Dundas and Queen subway stations. Bloor Street West: upscale stores (Holt Renfrew, etc.). Around Bay subway station. 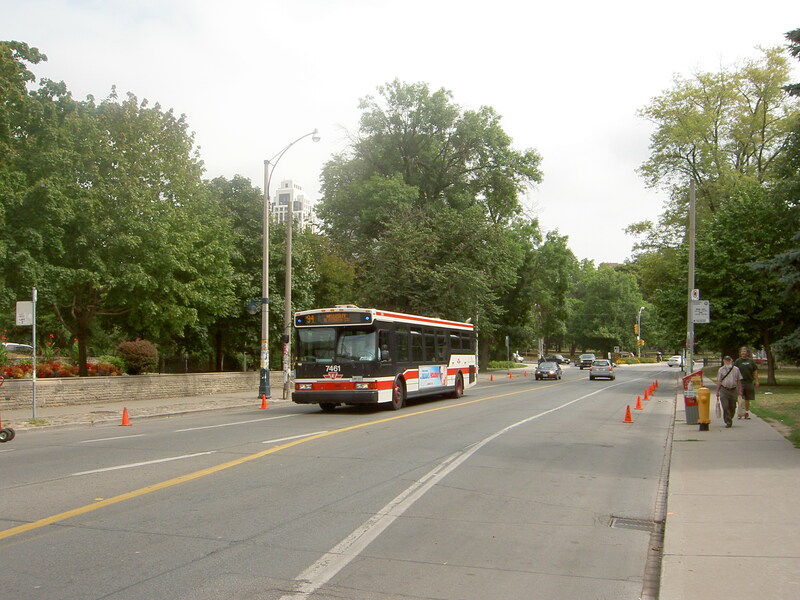 Queen Street West: the stretch of Queen Street West, west of University. Go west from Osgoode subway station. Yorkdale Mall: very large mall with all the usual stores. Yorkdale subway station. 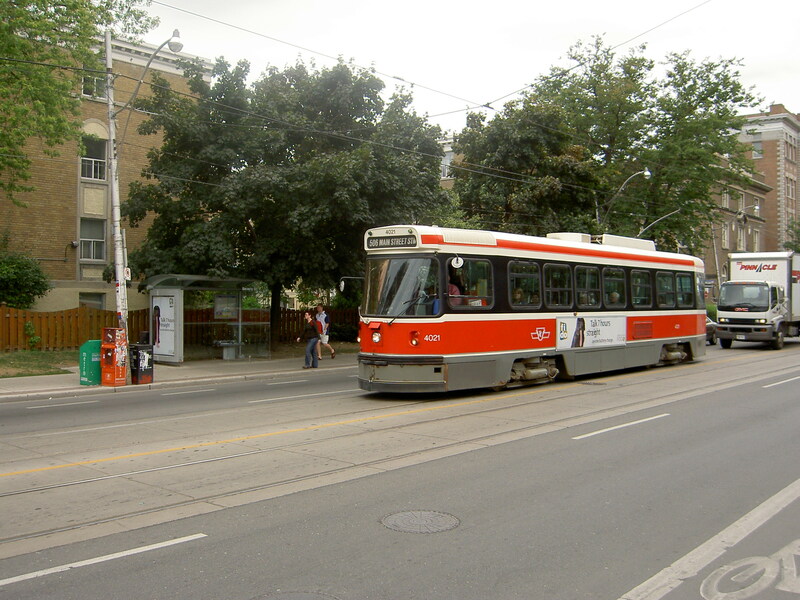 The centre of Toronto's gay and lesbian neighbourhood is along Church Street between Carlton and Bloor, just east of the Wellesley subway station. (It will look familiar to viewers of Queer as Folk, which was set in Pittsburgh but actually filmed here.) The bi-weekly free newspaper Xtra, available from purple newspaper boxes on streets, includes event listings. You can also get married while you are in town; it is legal here. Niagara Falls is 130 km from Toronto. Day-long bus tours are available. Two major theatre festivals run all summer: the Stratford Festival (Shakespeare and other plays) is in Stratford, just 150 km west of Toronto, and the Shaw Festival (Shaw and other plays) is in Niagara-on-the-Lake, 130 km from Toronto, near Niagara Falls. You can travel to nearby major cities by train: Montreal (5 hours), Kingston (2.5 hours), Ottawa (4.5 hours). Wasaga Beach (world's longest freshwater beach) is a 2-hour drive north of the city. There are also nice beaches for swimming along the south shore of Lake Simcoe. The Ontario Tourism site has information about the whole province.